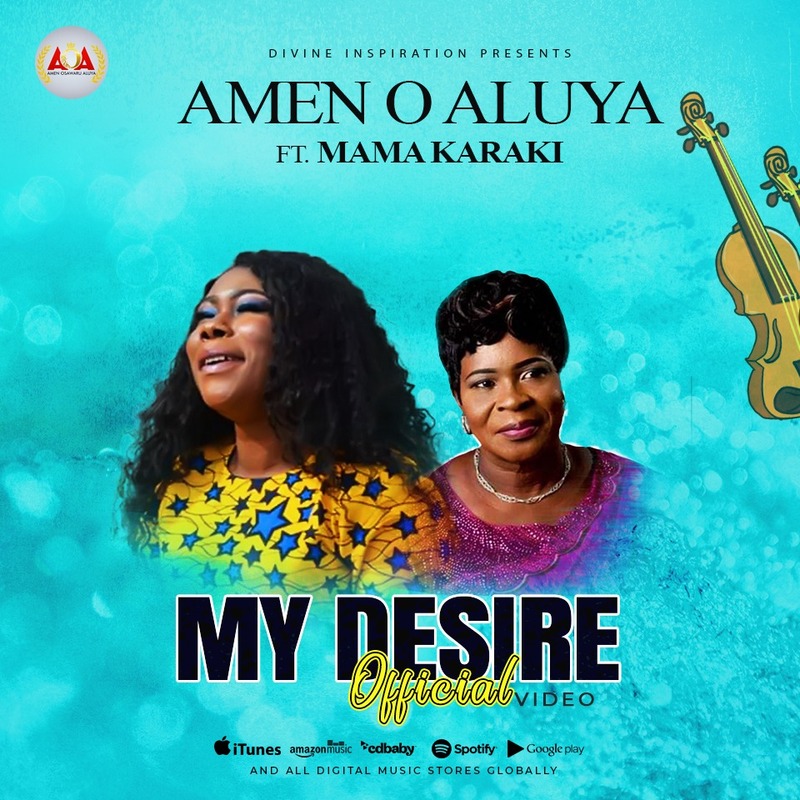 Gospel music minister, songwriter and gospel recording artist, Amen O Aluya releases the brand new video of her song titled ‘My Desire’ featuring Mama Karaki. “Amen O Aluya” is a worshiper anointed for the outpouring of God’s worship who believes God has specially anointed her for this generation. She has ministered in several platforms and concerts in the UK and Europe. With two albums and a video to her credit, she released her first album titled ‘Ijesu Nogie’ (Jesus the king) in 2014, and the second album ‘Testimony‘ in 2016. Amen progressively released 3 more singles in 2018; My Defender features multiple award winner and urban contemporary gospel singer Samsong, and ‘Who Am I’.